Note from the LeftEast editors: following the first show of TalkReal on the Greek Crisis, European Aleternatives’ Lorenzo Marsili and the team of TalkReal explore the situation with the upcoming Spanish general elections. Together with ROARmag and OpenDemocracy, LeftEast publishes the talk as a kindred web portal to the TalkReal initiative. 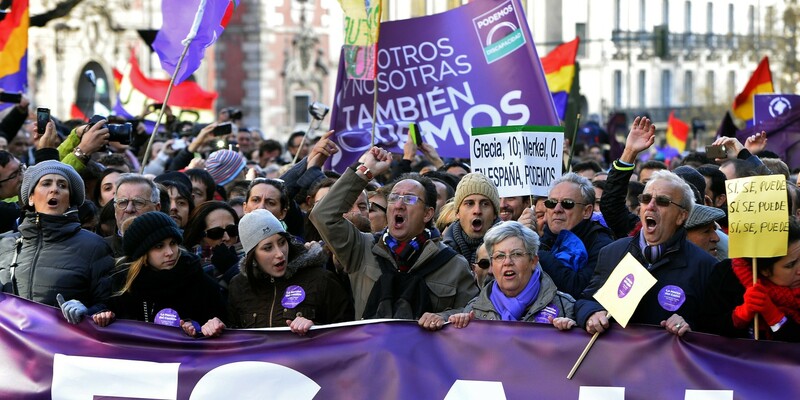 From the indignados and 15M to housing struggles and municipalismo, Spain has been at the forefront of some of the most inspiring and effective social movements of recent years. With citizen-led coalitions now governing in Madrid and Barcelona, many people see the Spanish context as offering a beacon of hope in a climate of fear and political nihilism. As the country heads to the polls on #20D in one of the most unpredictable elections since many years, the capacity for upstart parties and movements to grow further will be affected by the results. But how exactly is the health of Spain’s creative grassroots related to what happens in parliament? 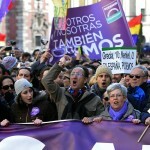 And how important is Podemos’ performance in the elections to the future of progressive politics in the country? In the latest English language episode, filmed in the studios of La Tuerka, European Alternatives’ Lorenzo Marsili and the TalkReal team discuss these questions and more with Juan Luis Sánchez (eldiario.es), Carlos Delclos (ROAR Magazine), Ana Méndez and Mario Munero (City of Madrid). European Alternatives is a transnational civil society organization and citizens’ movement promoting democracy, equality and culture beyond the nation state. Visit their website here.